Refresh and deep clean oily, blemish-prone skin. A unique formulation that has been created for use after shaving or on oily-prone areas. 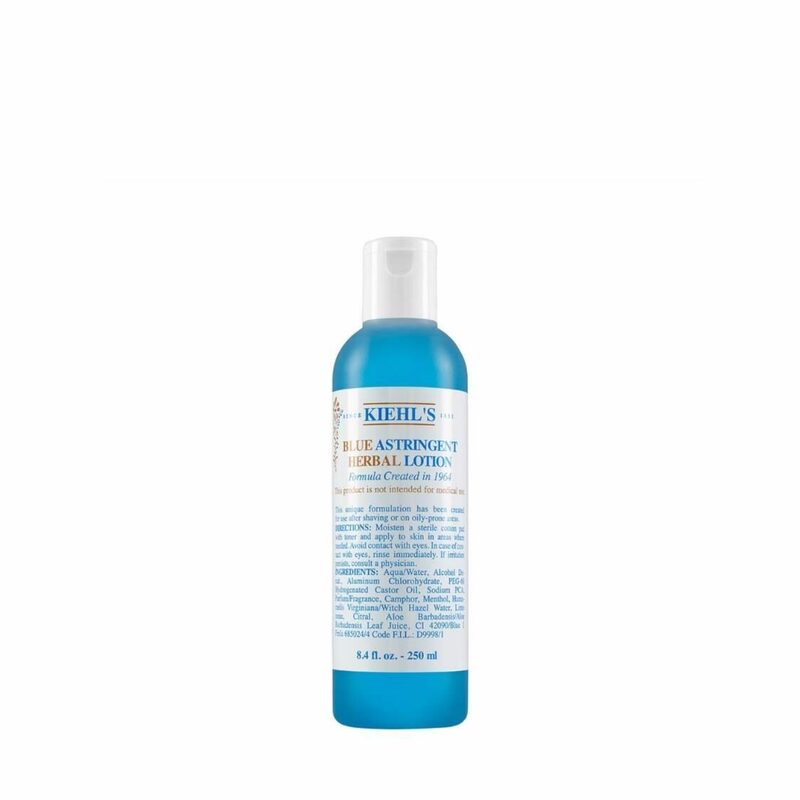 An iconic Kiehls product, formulated in 1964. While the multipurpose facial astringent was created for use specifically on oily-prone areas, patrons with oilier skin employ it as an all-over toner. Male customers rely on it as a post-shave facial treatment. Just ask for the Blue Stuff! How To Apply : Moisten a sterile cotton pad with toner and apply to skin in areas where needed and avoid the immediate eye area. Before applying, we recommend patch-testing a small amount of any cosmetic product on the inside skin of the wrist area to ascertain its compatibility with your skin.